The late Dawson Trotman, founder of The Navigators, once went to Taiwan as a guest speaker. 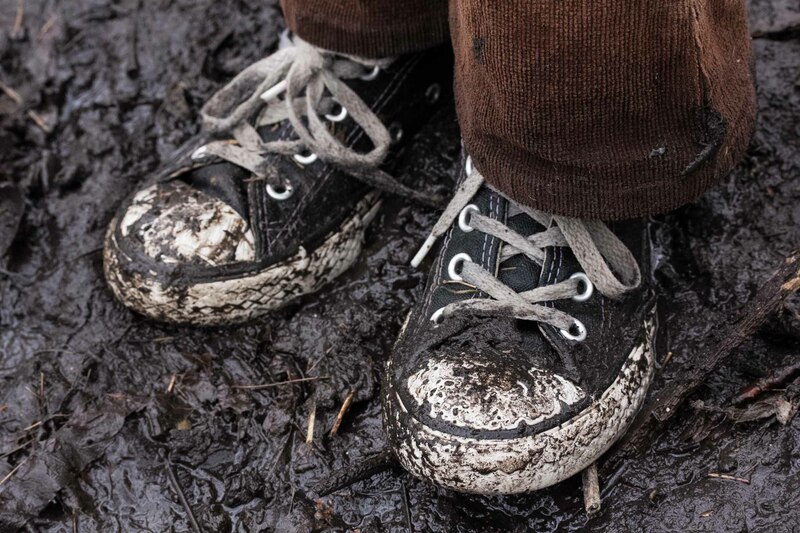 At one point during the trip, Trotman was hiking with several national pastors through muddy pastures and, as an act of service, cleaned several of the pastors' shoes the next morning before anyone else woke. After a great conference, where the Spirit of God moved among the people, one of the national pastors was asked what he would remember most about the week and Mr. Trotman specifically. Without hesitation the man replied, "He cleaned my shoes." It is the firm belief of Temple Christian School that spiritual growth cannot occur without serving others. This service is modeled from administration down to our youngest classes, and is an integral part of our academic model. High school students must accumulate at least eighty hours of community service hours to graduate and are given multiple opportunities throughout the school year as well as being expected to take initiative on their own. In particular, Temple Christian focuses on three unique opportunities: Cook Children's Hospital, Eastside Ministries, and Tarrant Area Foodbank. Click on the links below to see how Temple students are being the hands and feet of Jesus to the needy. And whoever would be first among you must be slave of all. For even the Son of Man came not to be served but to serve, and to give his life as a ransom for many. Except for Cook Children’s and Tarrant Area Food Bank, Operation Christmas Child, Springdale Elementary all other community service hours will be completed outside of school hours, unless approved by Administration. Projects will be approved for work through a non-profit community organization. Hours worked for Candy Stripers or working convalescent hospitals may be allowed but must be preapproved. A total of 5 hours may be earned for each mission trip in which a student participates. Community Service hours will not be given for service performed for a parent or relative. Hours earned for after school or weekend training or planning sessions may count towards community service when the training results in actual volunteer service towards the community. Hours worked for an organization that receives compensation will not count as community service. The agency has the option of not signing the time sheet if the student’s job performance is not satisfactory. Students must have letter head stationery from the non-profit organization and the signed Temple Community service sheet for hours to be applied. Students may start earning community service hours after the last day of their 8th grade year. Students entering Temple may have their community service hours prorated depending on the grade level in which they enrolled. Hours are prorated at 10 hours per year. The Secondary Office Manager/Mrs. Hall will document and record service hours. Any hours outside of these guidelines must be approved by Administration. Parent Pantry provides 24 hours of food to a parent without resources at the hospital. As most come to the hospital via emergency and need time to gather resources, this is everything for one person in one bag. The bags are plain white paper, so the students decorate bags with smiles and encouraging messages – no doubt brightening a parents’ day. Groups of students go all over the Medical Center campus, retrieve the carts, empty them of trash, clean them, sort 2 pallets of books based on age appropriateness, fill the carts, and take them back to their original locations – Book Carts provide a source of comfort and distraction in our patient waiting areas. This is a project Cooks does annually with Community Health Outreach to teach water safety to the community. The groups assemble over 3500 educational packets and tags – which because of their efforts could save lives at the pools this summer. The assembly line of students unpack bulk packages of crayons, sort them into groups, run off copies of coloring pages, and stuff over 1000 baggies – the crayon packets are another source of distraction and comfort for our patients waiting to be seen in the ER. Eastside Ministries is located just a few miles from Temple Christian School and its sole purpose, without discrimination, is to serve local needy families living in zip codes 76103, 76112, and 76120. The elderly, handicapped, poor, and homeless in these areas can receive donated clothing and food vitally necessary to their survival. Temple Christian School helps by regularly donating to Eastside Ministries. Temple regularly donates unclaimed lost and found clothing items to Eastside Ministries, as well as occasionally sponsoring clothing drives. Temple gathers Thanksgiving baskets for donation, with each bag being able to provide a Thanksgiving meal for a needy family. Last year, TCS donated 266 bags, which in turn fed 266 families on Thanksgiving Day! Our students and teachers work in Quality Control sorting food for the primary feeding program. This is the distribution of food to the vast network of hunger-relief charities that provide emergency groceries, meals and snacks to Texans in need.